Ultimate Success Co., Ltd. was founded on 23 November 2550 by a group of experienced team in Hospitality business ; Hotels & Resorts , Travel , Restaurants and Spa. With the experiences for over 30 years let the team truly understand in working in the scope of Business Development, Hotel Management, Revenue Management, E-Business Management, Events Management and Design Management. From the customers trust, the company has expanded continuously to other relevant of works and named the name to be “U-BEST Group" since beginning, the company had a team of five people, and currently expand more business with more recruitment of employees . We have professional Consultants Team in the business of IT, Styling & Designs and Graphic Design and Public Relations and has partnership and networks in many different business fields to assure that the company can cope with all business assignment. The Managing Director and Founder. Ms. Supamas is passionate about leading and growing a company that makes a profound difference in the lives of employees, guests, owners, industry partners and the community. Her life mission in her carreer has been to create opportunities for others to be successful. Miss Supamas is focused on strategic planning, development, pursuing growth and new opportunities, promoting the delivery of memorable customer service and ultimately being the best third-party management company in the industry, acting in the best interest of owners every day. Miss Supamas is an expert at driving collaborative initiatives focused on strategic thinking and profit performance. 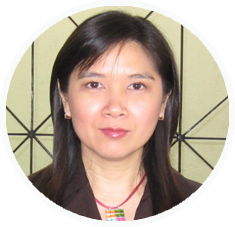 She has over 25 years experience in the hospitality industry, specializing in strategy creation and execution as well as training team members on the key components of Revenue Management processes and fundamentals. She is also have great experience on the business developments. She started her hotel career as the Sales Executive with the extremely fast growth to the top Management Position which made her the premier veteran in Hotel’s Sales & Marketing from over 15 years in this important segment, she worked with clients in a number of different industries including: travel and tourism, government, consumer/retail, telecommunications, e-commerce, financial services, and energy which made strong foundation for all business leads. Miss Supamas is also an expert for hotel hotel’s investment and development. 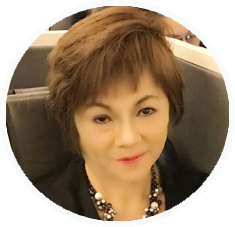 She worked for many projects included a variety of different tasks including: lodging investment proposal, market sizing and segmentation, competitive benchmarking, product development, process management, asset valuation, new business development and growth strategy. Miss Supamas earned BA (English Language) RU, Hotel Management by Chulalongkorn University and several hotel’s management certificated such as Competitive Strategic Management by Management and Psychology Institute, Finance for The Boss by Management and Psychology Institute, The Boss 30 by Management and Psychology Institute and more with the TAT & TICA. 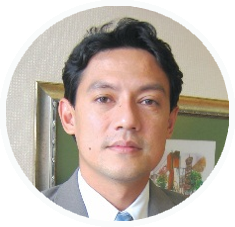 LIMH Switzerland as well as a Bachelor of Political Science from Chaing Mai Unitversity, Thailand. all facets of hotel documentation from conception to completion. and has improved operations and increased profitability in every facility under his management. USANISA KHANCHANUAN (AOM) , Business Development Executive. , is passionate about hospitality! A long-time member of the U-Best Group family. 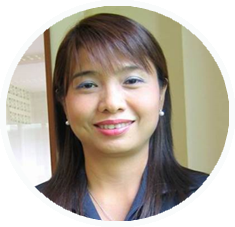 Beginning her hospitality career at the Karon Villa & Resort (Mövenpick Resort & Spa Karon Beach Phuket), she excelled in Sales & Reservation duties. and execution of the full service portfolio’s sales and marketing efforts, focusing on top line sales goals, market share and growing the division’s talent pipeline. all promotional marketing and coordinating public relations opportunities.